An American judge Suzanne Bolanos has denied Monsanto’s request for a new trial and has further upheld a jury verdict against the Bayer subsidiary Monsanto in a case regarding the cancer danger of some of its weed killer products. A jury in the case found the company’s glyphosate-based weed-killers, including RoundUp, (widely used here in Ireland), responsible for a man’s terminal cancer. Earlier this year the first study of exposure in adults to glyphosate, the most commonly used pesticide in Ireland, had found that the general population is being subjected to low exposure from this chemical, but “within acceptable EU safety limits”. 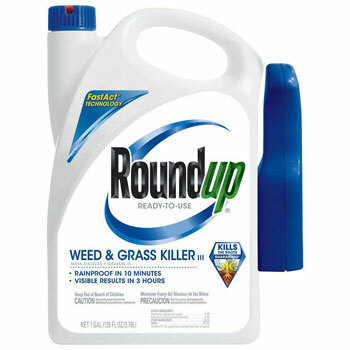 Roundup has continued to be licensed for use in Ireland in spite of the earlier US courts decision to award a school groundsman who claimed it contributed to his terminal cancer. Glyphosate is a broad-spectrum systemic herbicide used to kill weeds, especially annual broadleaf weeds and grasses that compete with crops. In 2015, the cancer unit of the World Health Organisation classified glyphosate as “probably carcinogenic to humans.” However, later in 2017, the US Environmental Protection Agency concluded that a decades-long assessment of the risks associated with the use of glyphosate, was not carcinogenic in humans. This evaluation will now influences decisions in the case of some 8,000 other such upcoming lawsuits in the USA. Monsanto, in denying the allegations, had previously asked Judge Bolanos to throw out the entire previous verdict or to order a new trial. The Judge, in her ruling, did cut the previous $289 million (€253m), punitive damages award by $200 million; back to $78 million to comply with the law regarding how such damage awards must be calculated. Bayer, a German company, which had purchased Monsanto recently for $63 billion, is adamant that decades of scientific studies have concluded that glyphosate is safe for human use, and in a statement said. “The courts decision to reduce the punitive damage award by more than $200 million is a step in the right direction, but we continue to believe that the liability verdict and damage awards are not supported by the evidence at trial or the law and plan to file an appeal with the California Court of Appeal”.